But “Sicario,” which means hitman in Spanish and co-stars Benicio Del Toro and Emily Blunt, does more than just lift the dirty rug on the Mexican drug war. It poses harrowing moral questions many of us are too nervous to be asked let alone prepared to actually answer. 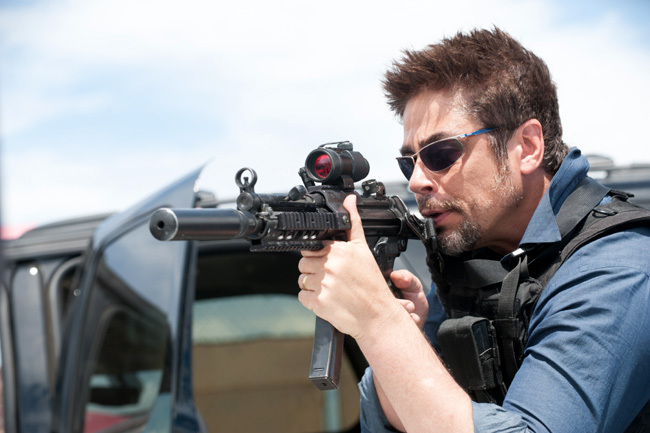 Benicio Del Toro stars as Alejandro in “Sicario”. Image credit: Richard Foreman Jr.
Emily Blunt as Kate Macer realizes she’s been wasting her time on small-time work that’s not scratching the surface of the dangerous and clandestine cartel world. Given the volunteer opportunity to witness the true underbelly with a different class of law enforcement, she can’t resist. At first we think it’s her curiosity, but her spectator role allows us to watch her more interesting co-star. First-time writer Taylor Sheridan weaves a taut, cautionary tale of the dangers of looking the other way. All the while, his dark story shines a bright light on whether operating brutally above the law might sometimes be necessary. Kate thinks she’s en route to El Paso, but a lackadaisical Josh Brolin as Matt Graver and a mysteriously ruthless Benicio Del Toro as Alejandro divert her to the bloody gutters of Juárez, Mexico. Greeted by mutilated hanging bodies, Kate quickly witnesses a cavalcade of law enforcement opening fire on shifty locals in broad daylight with commonfolk padded in all directions. 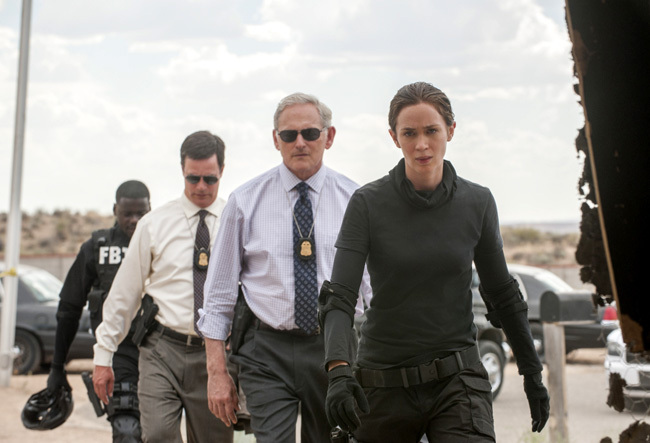 Kate Macer (Emily Blunt, right), Dave Jennings, (Victor Garber, center right), Phil Coopers (Hank Rogerson, center left) and Reggie Wayne (Daniel Kaluuya, left) in “Sicario”. “That’s illegal,” she says to her brethren, but they immediately school her that the boundaries of the law have been bent. Noisemakers like Matt and Alejandro are empowered to take down high-value bosses and make a true dent on the drug war. Though we need Emily Blunt’s character to unravel Alejandro, we don’t need Emily Blunt herself. She’s oddly cast and underutilized. After showing us she can be equally badass as she is beautiful in films like “Edge of Tomorrow,” here she could have been anyone else. Blunt’s hand-to-hand combat is barely used and her character is more about asking questions and watching. While Kate is a character you could have cast many actresses for, Alejandro must be Benicio Del Toro and couldn’t have been anyone else. The film shines as one of the best in 2015 especially when Sheridan’s story shifts from Kate as the protagonist to focus on Alejandro as the spook. His wife beheaded and daughter dropped in vat of acid, he’s the lone wolf who works for anyone to avenge his family. Calculated and quiet, Alejandro strikes with sociopathic lethal force when he must clean up the dirty mess no one else has the nerve to tackle. 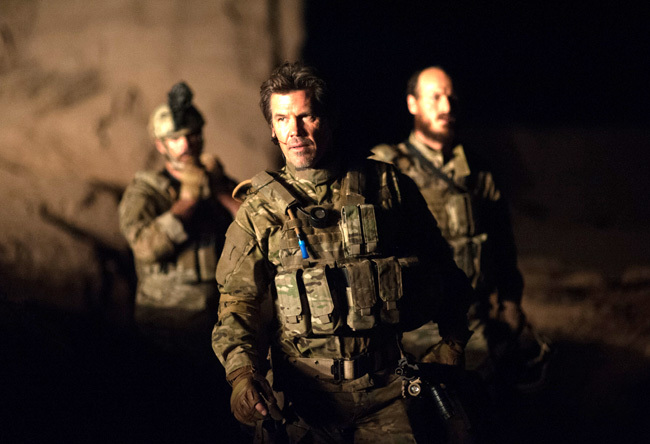 Josh Brolin stars as Matt Graver in “Sicario”. Kate and Alejandro flawlessly tango around each other as co-stars so you barely have time to blink. Director Denis Villeneuve (“Prisoners”) and cinematographer Roger Deakins (“The Shawshank Redemption”) are the behind-the-scenes stars of this standout film for some of the best use of dark lighting and shadows this year. Masters of suspense, they constantly keep you guessing and make you feel like you’re the only one granted a backstage pass to these horrors you blissfully live your life not knowing. Despite a haunting score by Jóhann Jóhannsson (“Prisoners”) that perfectly puts you in a somber mood, the film struggles with delivering clearly audible dialogue. “The Dark Knight Rises” received unwarranted criticism for Bane’s voice because some people didn’t understand that he’s not always supposed to be perfectly audible. There’s no intentional reason why “Sicario” should follow suit. A bilingual film between English and Spanish with subtitles, it was sometimes difficult to hear the English. “Turn it up,” I often thought to myself when the actors delivered their lines. For a film that makes so many other artistic choices with such sleek style, it’s difficult to determine if this was the film itself or the theatre’s sound balancing. I screened the film at one of Chicago’s best theatres where this kind of issue isn’t commonplace. 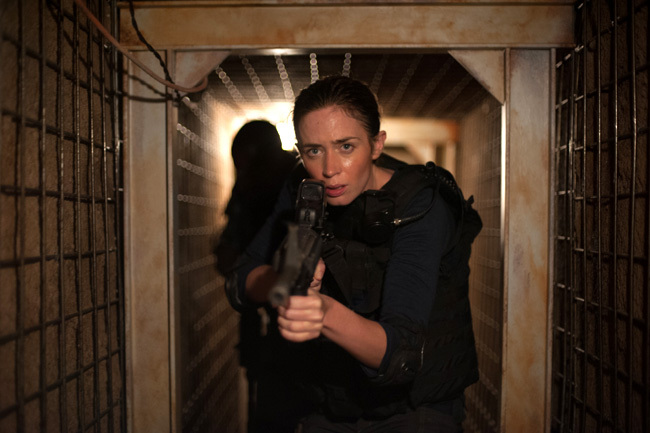 Emily Blunt stars as Kate Macer in “Sicario”. All in all, audiences are left with fascinating moral questions, some answers and even more to talk about. “Sicario” could easily play as an ongoing TV show in the same vein as “The Blacklist” and the new Jason Bourne-esque drama “Blindspot,” and we already know this story will reprise itself at least once more. Although we need to watch Kate in order to see Alejandro, Alejandro is where the action’s at and the intrigue stems from. What’s his past? What’s his future? Lionsgate knows he’s the ticket and has already greenlit a sequel (before the film has even gone wide) that will center on this shadowy hitman. A hit at this year’s Cannes Film Festival, the “Sicario” sequel is being overseen by Sheridan with unspecified involvement from Villeneuve. After backing “Sicario,” Black Label Media is again co-financing the sequel. “Sicario” stars Emily Blunt, Benicio Del Toro, Josh Brolin, Jon Bernthal, Victor Garber, Jeffrey Donovan, Raoul Trujillo and Maximiliano Hernández from director Denis Villeneuve and writer Taylor Sheridan. The film has a running time of 121 minutes and is rated “R” for strong violence, grisly images and language. “Sicario” opened in New York and Los Angeles on Sept. 18, 2015, opens in Chicago on Sept. 25 and goes wide on Oct. 2.